Paul Rumley considers the implications for the NHS as previously rare medical conditions may become more common, and whether this may lead to a rise in negligence claims for misdiagnosis. As a clinical negligence solicitor, each case I investigate for my clients involves a specific medical condition and treatment for this. 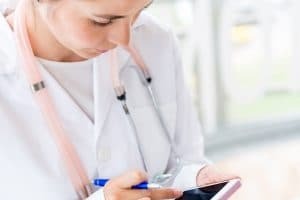 In order to advise my clients fully as to whether they can pursue a claim for negligence treatment, I have to reach a fairly high level of understanding of the specific medical condition – this includes understanding the signs and symptoms of a condition, accepted methods of treatment and usual outcomes and prognosis for the condition. I and my colleagues rely on independent medical experts to provide advice and information on the medical aspects of a case. I have seen several cases recently which involve treatment for what seem to be fairly rare genetic conditions. So what are the implications for our NHS in terms of diagnosing patients and providing treatment for rare genetic conditions? An example of one such genetic, metabolic condition is cobalamin C deficiency. To develop this condition a child must inherit two abnormal genes from their parents. Because of the nature of how this condition is inherited, it is understood that consanguinity – close family members marrying and having children – is a risk factor for a child inheriting these abnormal genes and developing this condition. Cobalamin C deficiency results in the body not having enough vitamin B12. That in turn can cause progressive neurological problems including ongoing loss of mobility and also affects cognitive function as the cells in the brain are affected by not having the correct nutrients. This has the potential to form the basis of a clinical negligence claim, if there is a delay in diagnosis and treatment of the condition – the longer cobalamin C deficiency is present for, the more widespread the damage to the brain and the less chance there is of recovery. It is also a condition which is easily treated with vitamin B12 injections if diagnosed early enough. • Proving breach of duty of care – or negligence – in terms of the delay in diagnosing and treating the condition. The obvious defence is either that the fact of consanguinity was not revealed which would have increased the suspicion of a genetic condition, or that the condition is so rare it would not be immediately thought of as part of a differential diagnosis in a child showing neurological problems. • Causation – that is the extent of injury caused by any negligent delay in diagnosis and treatment – is difficult to discern. There is limited medical literature detailing the difference in outcome with prompt versus delayed treatment, especially in rarer cases of late-onset cobalamin C deficiency (late onset is when a child is older than a baby or toddler, when this condition would normally become symptomatic). • Whilst the specific condition is rare, in a child with progressive neurological problems a genetic, metabolic disorder should always be part of the initial differential diagnosis – that is so whether or not consanguinity is known to be a potential issue or not. Such conditions are easily investigated with urine amino and organic acid tests which can be carried out rapidly. • As with any progressive condition, common sense alone dictates that the sooner it is diagnosed and treated, the sooner it is halted and possibly reversed. Whilst not largescale, there is compelling medical literature that early diagnosis and treatment of cobalamin C deficiency with vitamin B12 injections, produces rapid and impressive results in terms of halting the progression of the disease and reversing most if not all of the neurological symptoms. Whilst a there may be a growing number of different and novel medical conditions for the NHS to cope with, in fact adhering to basic clinical approaches regardless of the rarity of the condition will in many cases result in the correct diagnosis in any event. Breach of duty of care – or negligence – in terms of a delay in diagnosis and treatment can therefore be established despite the rarity or novelty of such conditions. A thorough – and expert – investigation of a potential clinical negligence claim involving such novel areas of medicine, is always required. It is yet another reason why the importance of going to a specialist clinical negligence lawyer for advice and assistance can never be over-emphasised.